Fine Michigan wildflower honey, harvested from our Michigan apiaries. Our honey will vary in color and flavor depending on the bloom the bees are working, but typically is a lighter amber honey with a pleasant aroma and a very pleasing taste. This is one of our most popular sizes. Comes in an attractive easy to pour 5lb jug. The bees have produced this honey mostly from Dutch Clover, Starthistle, and Bassword. 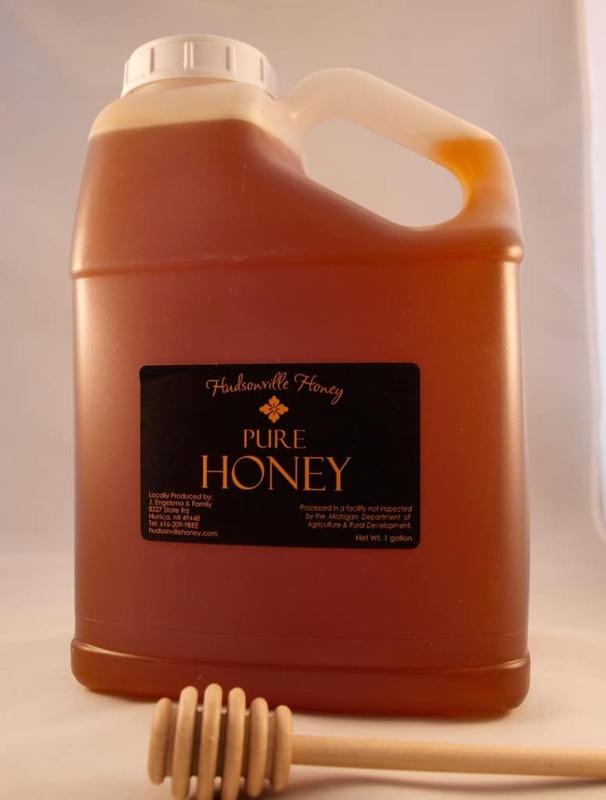 If you are a serious consumer of honey, this is the size for you! Fine Michigan wildflower honey, harvested from our Michigan apiaries. Our honey varies in color and flavor, depending on what flowers the bees are foraging when it is produced. 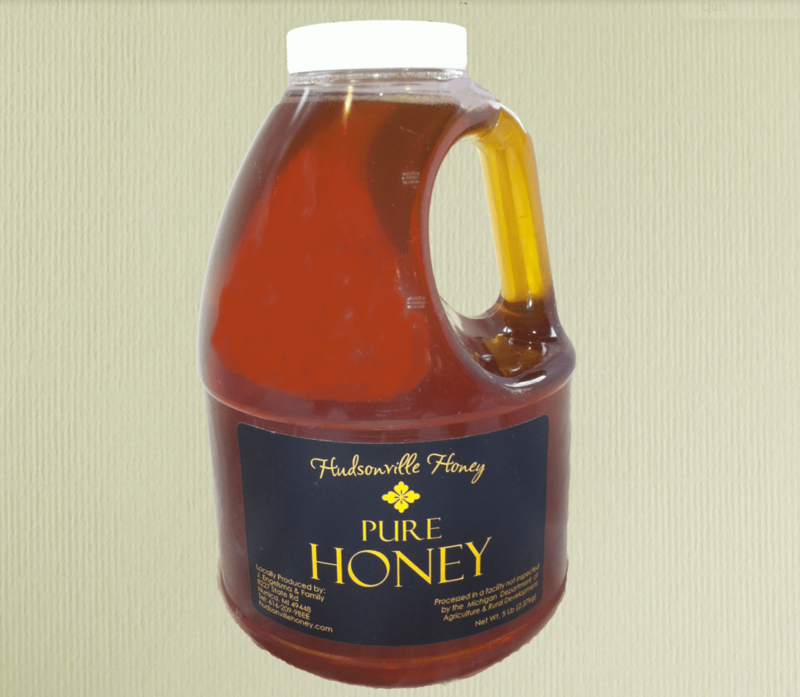 Our honey is typically a lighter amber honey with a very pleasing taste. 1 gallon of honey is approximately 12 lbs. 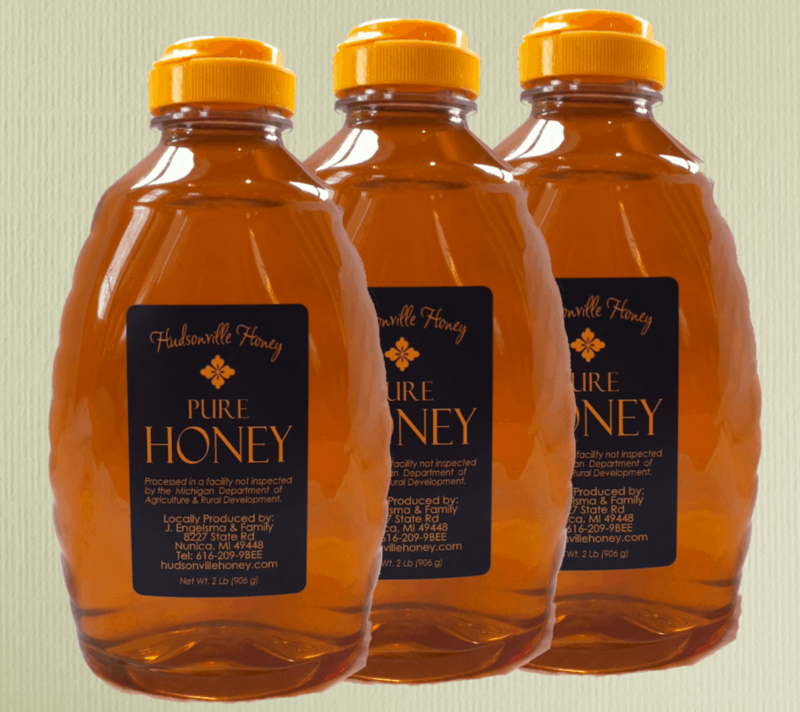 If you have a family of honey lovers, buy by the gallon and save $$. Comes in convenient wide mouth 1 gallon jug. The bees have produced this honey mostly from Dutch Clover, Starthistle, and Bassword. This is the best price per pound that we offer. If you go through a lot of honey, you might as well buy a good supply and save.